What Daniel Boorstin did for science in The Discoverers, Colin Wells now does for history in A Brief History of History. An accessible and lively biography of history as a living idea, this book brings together evocative sketches of the great historians with concise summaries of their most important works. Moving forward through the ages, Wells shows us how such brilliant minds have changed our understanding of history, how history itself moved forward over time as a way of approaching the past, and why "history" is a startlingly fluid concept, with an evolutionary course--a story--all its own. History is the turf on which we fight our culture wars. Given its humble origins as a minor literary genre in ancient Greece, the study of history stands today as perhaps the most successful monument to the global spread of Western civilization, rivaling even science in its ubiquity. Yet it did not have to turn out that way. While tracing the evolution of history, Wells shows how this branch of knowledge has at times been rejected and scorned by those who questioned its very legitimacy. Wells begins by arguing that history has two "parents" in the ancient Greek world, epic poetry and science, and that its first two practitioners, Herodotus and Thucydides, each took after one of those parents respectively. This dichotomy serves as a backdrop for the larger narrative that follows, in which "the scientist" dominates the writing of history until very recent times, when "the storyteller" makes a comeback. 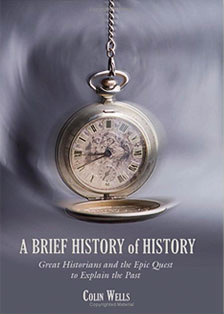 A riveting blend of vibrant prose and penetrating insight, A Brief History of History is a must for anyone interested in how we look at the past. "In this deft synthesis of scholarship, classicist Wells shows how the Byzantines exerted a profound influence on all neighboring civilizations. Concrete examples still exist that testify to that influence - such as Sant'Apollinare Nuovo in Ravenna, Italy - but this book focuses on the more ineffable products of culture that traveled from the Bosporus, influencing Western, Islamic and Slavic cultures. The story of Renaissance Europe's embrace of pagan learning is familiar, but Wells tells of a fascinating intellectual circuit that begins with the transmission of Greek learning to the newly powerful Arabs and leads to Averroes's commentary on Aristotle, Aquinas's use of this commentary and finally to the Byzantine Cydones's translation of Aquinas in the 14th century. By then, the dominant Orthodox movement of Hesychasm deemed pagan learning incompatible with Christian faith, forcing many humanists to the Catholic West. Wells devotes much space to the Hesychasts and blames them for this betrayal of Greek heritage and for weakening the empire before its final collapse in 1453, but duly credits them with shaping the Russian Orthodox Church and positioning Moscow as the Third Rome. 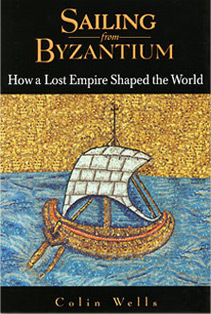 This volume, which contains a useful glossary of historical figures, detailed maps and a time line, is a superb survey of Byzantium's many cultural bequests." "Wells, an independent scholar specializing in Greek, Latin, and Byzantine topics, considers how Byzantium, the Eastern, Greek-language Roman Empire of the Middle Ages, influenced three successor civilizations - Western Europe, Islam, and the eastern Slavic world of the Balkans and Russia. In Part 1, Wells relates how Byzantine scholars and teachers, many fleeing the Turks, settled in 15th century Italy, where they introduced ancient Greek literature to Western scholars and helped launch the humanist movement that contributed to the Italian Renaissance. In Part 2, he looks at Byzantium's contribution to Islamic thought -the scholars and translators who would introduce the Arab Muslims to Greek philosophy, medicine, and science, leading to a golden age of Arab science, which would eventually be repudiated by Islamic fundamentalists who sought to suppress the rational inquiry that was the basis of Greek philosophy and science. Next, Wells looks at the religious legacy that Byzantium transmitted to the eastern Slavic world - the Orthodox Christianity of the Slavic churches, resulting from tireless missionary work, which may be the most enduring legacy of Byzantium. Thomas R. Martin, Professor of Classics at Holy Cross, describes Sailing from Byzantium as a "work of extraordinary learning, adroitly presented for general readers with a light touch... wide-ranging and readable." "Readers," he continues, "will find themselves guided on a fascinating journey through a story that has never before been presented in such an accessible and thought-provoking fashion." Calling Sailing from Byzantium "smart and accessible," Adam Kirsch in the New York Sun writes that "Mr. Wells offers capsule summaries of important developments, while keeping vivid personalities - kings, monks, philosophers, travelers - to the fore. The reader comes away, accordingly, with a broad outline of a complex subject, and a whole bushel of interesting anecdotes." Kirsch concludes his review by describing the book as "a fascinating lesson in the strange transience, and even stranger endurance, of empires." Sailing from Byzantium is an alternate selection of the History Book Club and the Discovery Channel Book Club. It is also available from Tantor Media as an audiobook.